Professor Michel Michaelides is among only a handful of doctors in the UK to be awarded the position of Professor of Ophthalmology at University College London, where he is based at the Institute of Ophthalmology, one of the leading vision research centres in the world. 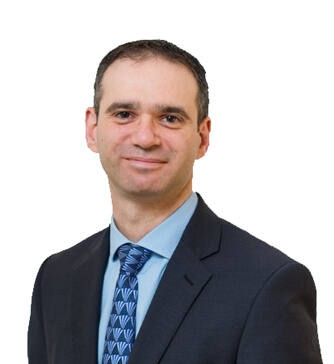 Professor Michaelides sees private patients at Clinica London on Harley Street and Moorfields Private Patients, and as a Consultant Ophthalmologist, he sees NHS patients at Moorfields Eye Hospital, one of the largest and oldest eye hospitals in the world. His research and teaching revolve around retinal disease, which is the commonest cause of visual loss in the western world. Retinal disease impacts children, those of working age, and the retired population. Michel Michaelides is regularly involved in delivering therapies for retinal disease, including intravitreal treatments and laser treatments, both with a conventional laser and photodynamic therapy. He is a consultant in the departments of Medical Retina, Inherited Eye Disease and Paediatric Ophthalmology where he has regular retinal clinics for both adults and children. He is a world leading medical retina and genetics expert, leading multiple clinical trials in the UK and internationally. He is at the cutting edge of managing retinal disease, exemplified by over 300 peer reviewed scientific papers in prestigious journals.